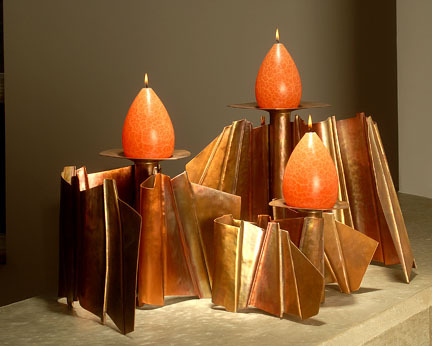 Tom Markusan folder copper candle holders. Medium shade of nectarine candles. Forged copper vase with a nickel finish.